FIRE has swept through an unlicensed lodging at the training centre of Rio de Janeiro soccer club Flamengo, killing 10 people, including several members of the club's youth team. Six of those killed were reported to be youth players, and another three boys aged between 14 and 15 were injured in the blaze. All three were taken to a hospital, one of them reportedly in serious condition. The Rio de Janeiro mayor's office said the dormitory destroyed by the blaze on Friday 9 (local time) was built on land not registered for buildings and that the club had no permission to erect lodgings there. "On the project protocol the area is described as a parking lot," the office said in a statement. "There is no register of a new request for a licence to use the area as a dormitory." 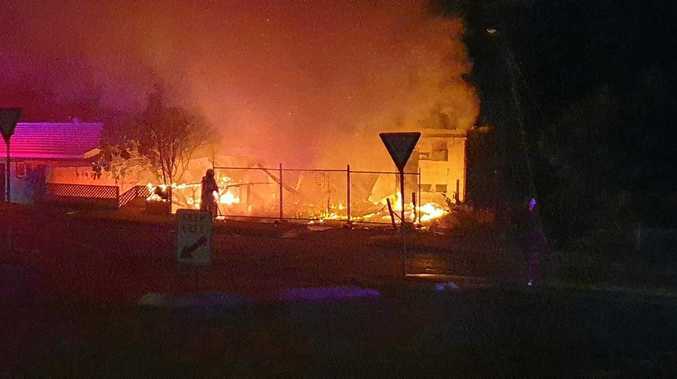 Firefighters said they arrived at the Ninho do Urubu, a state-of-the-art training centre that was expanded and opened only two months ago, shortly after 5am local time and found the building engulfed in flames. It was not known whether smoke alarms were installed in the building, which had a metal roof that appeared bent and charred by the blaze. Some people had managed to escape the burning building, but the ferocity of the fire prevented firefighters from entering. "We managed to rescue the victims that were outside," fire service Lieutenant Colonel Douglas Henaut told reporters. "The place was completely overtaken by fire. As much as we tried to get inside and find people still alive that wasn't (possible) ... we only found bodies inside." 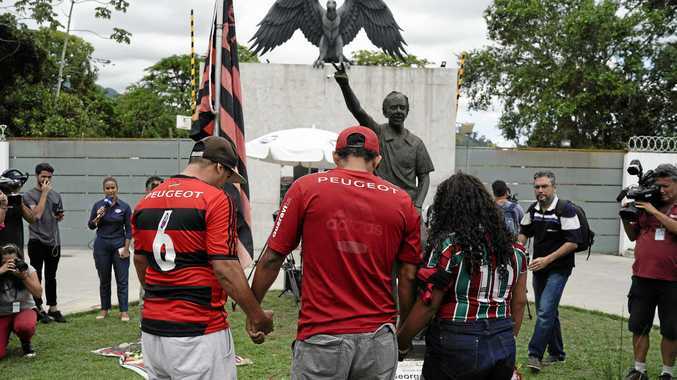 Flamengo president Rodolfo Landim called it "the biggest tragedy in Flamengo's 123-year history" but gave no details about the players involved. One young player, however, told reporters the fire started in his room. "The air conditioner caught fire, and I ran out," said Felipe Cardoso, a midfielder with the under-17 side. "Thank God I managed to run and I'm still alive." It is common for Brazilian clubs to host young players in dormitories while they are training with youth teams or at the club for trials, especially those from poor backgrounds or from outside the city. However, many of the lodgings have a reputation for poor health and hygiene standards. Flamengo, where World Cup players such as Zico, Junior and Leonardo got their start, is one of the best-supported clubs in Brazil and known around the world. What a shock getting this news here on the other side of the world," Brazilian midfielder Zico wrote on Instagram. "May the Red-and-Black nation have strength and faith to get through this moment." Teams from around the world, including Rio rivals Botafogo, Fluminense and Vasco da Gama, tweeted their solidarity and offered help that included psychologists and medical staff. Officials postponed Saturday's two semi-finals of the Guanabara Cup. One of those games would have been between Flamengo and Fluminense at the Maracana stadium, which hosted the 2014 World Cup final.